Recently, I alluded to a change in our plans when I posted this post last week. I wasn't trying to hold back information, but nothing was 100% official yet. Actually, it still isn't because it's the Air Force... what can I say? As some of you will remember, I posted at the very end of January that Dan will be going to pilot training at Sheppard Air Force Base in Wichita Falls, Texas, his top choice. Well, that is still true... but it has been pushed back a bit. It's been pushed back 18 months, to be exact. That's because Dan has been honored with a graduate school slot at AFIT, the Air Force Institute of Technology, at Wright-Patterson Air Force Base in Dayton, Ohio. He will get his Master's degree in Applied Physics through the Engineering Physics program. Nothing is set in stone yet, and I feel like we're in limbo. His report date is currently July 31st, so we will pack up and move there immediately after we return from our honeymoon this summer. If funding falls through for whatever reason, though, this will all be off. As of now, however, we are confident that we are moving to Ohio in July rather than to Texas next March. Goodbye, Colorado... in a couple months! Does anyone have experience with AFIT? 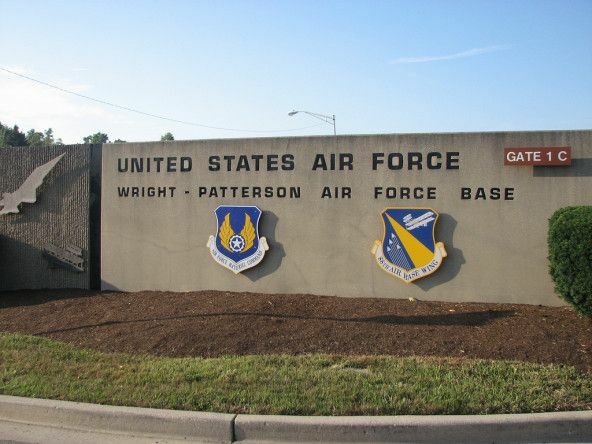 Has anyone ever been stationed at Wright-Pat? What do we need to know about Ohio? That is very exciting news! I hope everything works out so y'all get to go to Ohio. My husband and I both went to school at Cedarville University in Ohio, which is pretty close to Wright-Pat. It's an okay area… it's going to seem SUPER flat compared to CO! I did my student teaching in and around that area. I would definitely check out the schools in Beavercreek, Fairborn (I did a field experience there and I really liked it) and depending on where you live Springfield public schools (I did my student teaching at Rockway in Springfield… and it was a great school.) Kettering and Centerville are also fairly nice areas, too! I don't know if you plan on trying to get a job for a year or not, but there are some nice schools there! Congratulations! We don't have personal experience with AFIT, but we have friends who have, and they have loved it! Also make sure you go check out APEX church when you get there… I don't know what kind of churches you like, but we really loved that one. Check out The Tervo Times, she doesn't blog super regularly with 2 kids, but her hubby just finished AFIT so she may be able to help you out with any questions! Sounds like an adventure!!! Congrats to your husband on getting selected for AFIT!!! Don't you just love all the maybe's and the "but it could change"s?? I am not good with change and being type A, I don't like all the uncertainty!!! BUT that's just exciting for Dan so congrats to him! Wow, I don't know who Katie is, but we have the same story! ;) We went to Cedarville so my husband was there for ROTC stuff. And we attended Apex Community Church too. We were at WPAFB in December for my husband's eye surgery. We have several friends stationed there and have had friends graduated from AFIT as well! Let me know if you have any more questions I can help with! Sounds awesome! I hope you find out definite for sure soon! Ahh that's so exciting! That definitely is a big deal to be selected to AFIT, congrats to him! Sad that you'll be leaving Colorado that much sooner though!